After graduating in 2000 from Saint Petersburg State Polytechnic University (M.S., department of computing machinery, complex, systems and networks) he continued his education in Saint Petersburg State University of Economics and Finances and received his degree of an appraiser of intangible assets. In 2009 obtained a Bachelor`s degree from the Russian State Institute of Intellectual Property. Speaks English. He started his working activity in the field of protection of intellectual property in 1992. He practiced in many aspects of intellectual property with particular emphasis on mechanical inventions, utility models, trademarks and related litigation. His technical, management and intellectual property background merge to provide excellent advice tailored to augment corporate strategies in the field of intellectual property. Mr. Fedotov is registered to practice before Russian Patent Office. In 2008 founded with Fedotova Natalia an Intellectual Property Bureau “FEDOTOV & PARTNERS”. Constantly raises his professional level participating in different conferences and seminars. 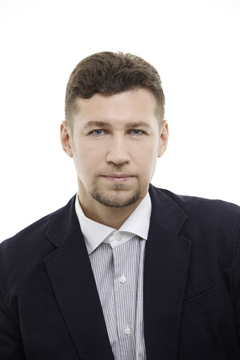 Mr. Fedotov is a president of Saint-Petersburg Сollegium of patent attorneys. Natalia V. Fedotova obtained a M.A. degree in studies of culture from the Saint Petersburg University of Culture and Fine Arts and a Bachelor`s degree in jurisprudence from the Russian State Institute of Intellectual Property. Speaks English and Italian. 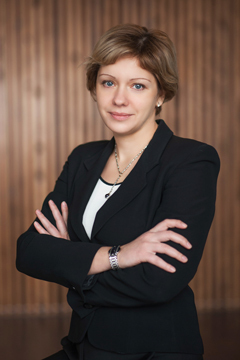 Natalia V. Fedotova has been working in the sphere of trademark protection since 2003. Having acquired wide experience in legal protection of trademarks she was registered as a Trademark Attorney in 2008. Ms. Fedotova received substantial knowledge in virtually all phases of trademark practice including the preparation of opinions on the registrability of marks, filing and prosecution of applications for registration in Russia and internationally. Her focus is made also on intellectual property litigation at the Chamber of Patent Disputes and Arbitration Court of the Russian Federation. In 2008 founded with Andrey A. Fedotov an Intellectual Property Bureau “FEDOTOV & PARTNERS”. Constantly raises her professional level participating in different conferences and seminars. 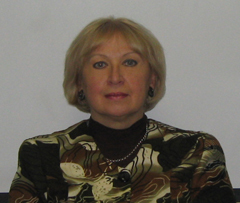 Ms. Fedotova is a member of Saint-Petersburg Сollegium of patent attorneys. In 2010 Irina V. Kuchumova graduated from the State Herzen Pedagogical University with honors. She obtained a master's degree in Pedagogy as a "teacher of the English language" and a "high school teacher". In 2017 Ms. Kuchumova has attended the course for raising qualifications in the Russian State Institute of Intellectual Property. 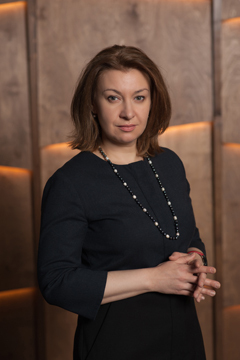 Irina V. Kuchumova has been working in the sphere of trademark protection and defense since 2011. At the moment she concentrates her practice on legal protection of trademarks in Russian Federation and other countries. Her focus is also made on the aspects of computer programs and databases legal protection. Ms. Kuchumova raises her professional level expanding her practice, reading professional literature, participating in different conferences and seminars. 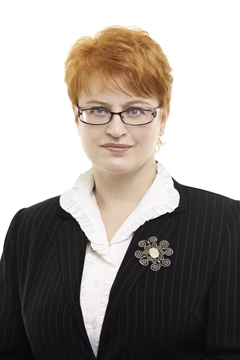 Ms. Kuchumova is a member of Saint-Petersburg Сollegium of patent attorneys. In 1988, Natalia Vladimirovna Beresneva graduated from the Leningrad Institute of Fine Mechanics and Optics with a degree in Optical Instrument-Making and Optoelectronic Instrument-Making (qualification: an optical engineer-designer), in 1989 – the Central Institute on Advanced Training of in the Field of Patent Work. Natalia Vladimirovna Beresneva has practical experience in the field of protection of intellectual property rights in such industries as instrument making and mechanical engineering, electric power industry, radio electronics, and medicine. Since 1988, Natalia V. Beresneva has been working as a design engineer, patent specialist, chief specialist in intellectual property at enterprises of instrument-making and power engineering industries. Her focus has been made on patent research, patenting inventions and utility models, creating trade secret patented subjects, registering computer programs and databases. As a patent expert of “FEDOTOV & PARTNERS”, Natalia V. Beresneva concentrates her practice on patenting inventions and utility models in Russia. Main areas of work: carrying out patent information retrieval, analysis of application documentation, patenting. Leading Expert in Copyright and Related Rights. In 2009, she graduated from the Russian State Academy of Intellectual Property. Specializes in legal protection and in copyright and related rights protection. Has extensive experience in supporting transactions of any complexity degree. Carries out execution, registration and recognition of copyright, conducts examination of copyright and other contracts. In 2006, she graduated from the All-Russian State University of Justice (RLA of Justice) majoring in Civil Law. In 2003 Alexander V. Kuchumov graduated from the State Herzen Pedagogical University. He obtained a bachelor's degree in Pedagogy as a "teacher of geography and biology". In 2002 he graduated the reserve-officer training department and was qualified as a military psychologist. Since 2017 Alexander V. Kuchumov assumes the duty of clerical and administrative support in order to optimize workflow procedures in the office. In 2017, he graduated from the Federal State Autonomous Educational Institution of Higher Education “Saint-Petersburg National Research University of Information Technologies, Mechanics and Optics” (ITMO University) majoring in Nuclear Energy and Thermal Physics. 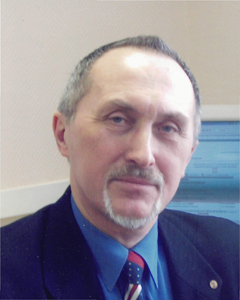 In 2018, Vladimir V. Verushkin took professional development course under the additional professional training program Patent Specialist (Intellectual Property Specialist) at the Federal State Autonomous Educational Institution of Higher Education “Saint-Petersburg National Research University of Information Technologies, Mechanics and Optics”. Since 2017, he has been working at FEDOTOV AND PARTNERS IPO, LLC. He specializes in the legal protection of inventions and utility models within the territory of the Russian Federation and in other countries. He is engaged in claim settlement work for the intellectual property rights protection. 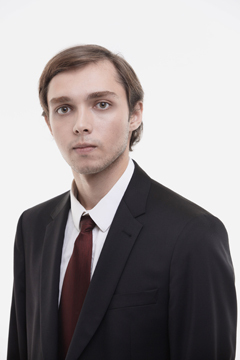 Mr. Revinskiy obtained a M.S. degree in radio engineering from Moscow aviation institiute. He continued his education in Central Institute for raising the level of professional skills in the sphere of intellectual property. Mr. Revinskiy has a wide scientific and practical experience in the sphere of protection of intellectual property in the different fields of science such as informatics, electronics, laser technology, medical equipment. He worked as a patent examiner at the Federal Service for Intellectual Property, Patents and Trademarks in the department of radio engineering. Mr. Revinskiy is the author of more then 60 scientific works in the sphere of patent law particularly in the sphere of computer programs protection. 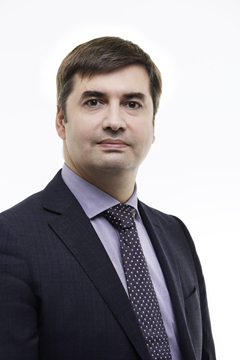 As a consultant of “FEDOTOV & PARTNERS” IPB Mr. Revinskiy concentrates his practice on counseling and representing Clients in domestic and international patent procurement. Marina V. Kolpakova obtained a M.Sc. degree in mechanical engineering from Leningradsky Electrotechnical Institute of Connection named after M. A. Bonch-Bruevich. She continued her education in Central Institute For Raising The Level Of Professional Skills in the sphere of intellectual property. Ms. Kolpakova`s professional experience covers almost every aspects of the intellectual property protection including inventions, utility models, designs and trademarks. With a background of a practicing mechanical and research engineer, she has gained a great experience in patent prosecution in the areas of mechanics, mining engineering, building industry, informatics, electronics, laser technology, medical equipment. Marina V. Kolpakova worked as a patent agent, as a Patent Attorney and as a Head of Patent Department in one of the Research Institutes of Saint-Petersburg. Kolpakov`s special areas included the preparation of opinions on patentability, conducting of patent researches, prosecution of patent applications.